Your students will fall in love with this science lesson as they design and create a roller coaster tour of the states of matter. They will write or narrate about each state of matter along the tour. This lesson includes directions, slide show pages for presentations, a rubric for grading the final project, and a few notes to help you as the teacher. If you have iPads and have updated to iOS 11, your students can screen record their tour using the control center. Slides are provided for their slideshows. 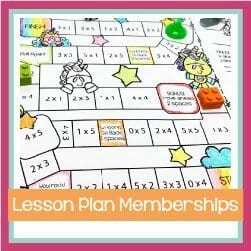 You can share the lesson with them in Google Drive (as a Google Slide document) or you can download the presentation as a PowerPoint and let them edit it that way. Students can also build Minecraft items on the coding site Tynker.com. 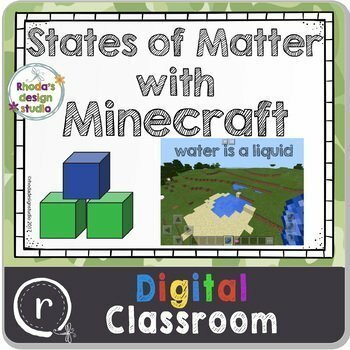 They can create examples of each type of matter, screen shot their creations, and create a slideshow. This listing is for a digital lesson that uses Minecraft. It does not contain software, a physical product, or any other items besides a Google Slides presentation. The file has 10 slides. No prep needed. Just share the Google Slides document with your students and let them play!